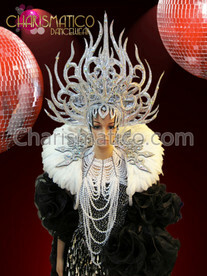 The feathers which are as dark as that of a raven sits beautifully on the top of this headdress above shimmering crystals. 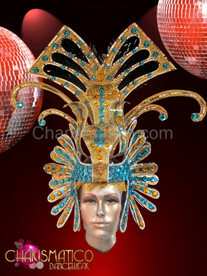 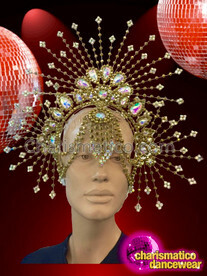 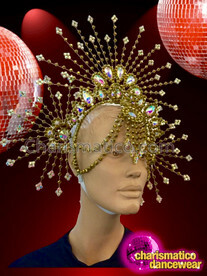 This headdress will help to remind the world that you're the diva. 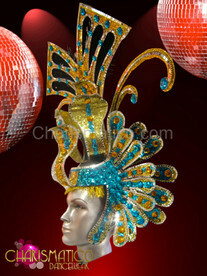 The detailing of the crystals along with the asymmetrical body makes this headdress a must for every showgirl.